How to avail Free Facebook from Globe? Globe Telecom is answering Smart’s Free Internet promo with the popular Free Facebook offer to its subscribers. Whether you’re in prepaid, postpaid or TM subscribers, you are entitled to access Facebook with zero data charges. 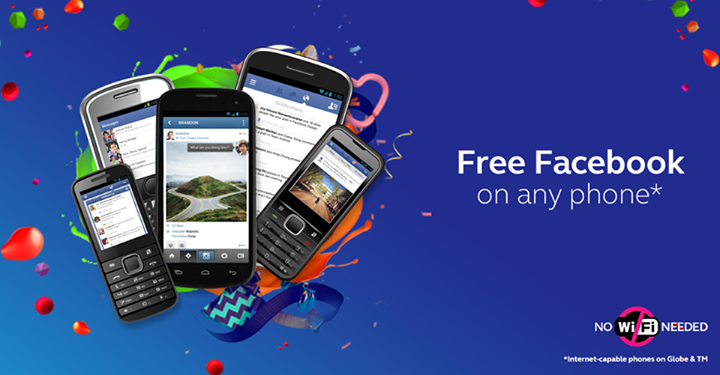 Over 43 million mobile customers can have access to Free Facebook starting today, October 3, 2014 until October 5, 2014! This is due to the overwhelming demand for the service which allowed users to enjoy free access to the social networking site and superior browsing experience. All you have to do to register for Free Facebook offer is to text FREEFB to 8888. Afterwards, you’ll get a free confirmation. Then, you’ll receive a text message with a link to open to start accessing Facebook for free. What do I need to avail free Facebook? You should have feature phones and smartphones, remember that there will be no restrictions on the data allocation and no balance requirement. There are no information whether Globe would extend the promo but since Smart has extended their Free Internet until January 2015, Globe will most like follow suit. In the meantime, enjoy your Free Facebook this weekend. Pinoy Metro Geek: How to avail Free Facebook from Globe?